What not to miss in Tuscany, Italy! Italy is one of those places that is on almost everyone’s travel bucket list. It’s not hard to understand why with so many amazing things to enjoy from the beach to the mountains, the cuisine to the culture, Italy is just jam-packed with things to indulge all of your interests. One region that is especially popular with tourists, and for good reason, is none other than the Tuscan region in central Italy. Read on to learn about just some of the amazing offerings Tuscany offers its lucky visitors. No trip to Italy would be complete without a trip to Florence. Actually the 6th biggest city in the country, and the capital of Tuscany, Florence blends city vibes with a provincial feel for the best of both words. Marvel at the works of Michaelangelo, notably the David, at the Accademia di Belle Arti di Firenze or climb the Duomo in the center of town. 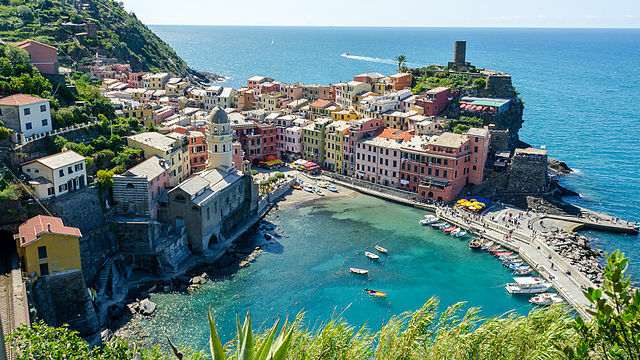 Actually a group of 5 independent villages, Monterosso, Vernazza, Manarola, Riomaggiore, and Corniglia, Cinque Terre is a UNESCO World Heritage Site and national park, and for good reason. One of the most photographed areas in all of Italy, Cinque Terre is simply stunning. Stroll the narrow streets that end abruptly to panoramic views of the ocean and surrounding cliffs. Enjoy the amazing seafood caught just a few hours before over a bottle of delectable Tuscan wine. Cinque Terre is one of the most romantic places in the entire world, let alone Italy (and that’s saying a lot!). To make your experience even more memorable, opt to stay at a Tuscan vacation villa instead of a standard hotel. Sienna is another gem of a city in Tuscany and battles Florence for visitors, while in reality people just visit both and enjoy them equally the same! Florence is known more for its Renisance style architecture while Sienna offers many fantastic examples of well-preserved Gothic architecture. Don’t miss the Piazza del Campo, then climb to the top of the Torre del Mangia for majestic views over Sienna. « Wales Top 6 Summer Getaways! In Tuscany we suggest you to add the Tuscan Archipelago, or the Maremma area!